The Colorado Rockies had a difficult regular season in 2015. They placed last in the West Division of the National League, with 68 wins and 94 losses. They had an average year as far as number of trades—they had 10 trades in 2015. Between 2003 and 2013, the Rockies averaged 10.9 trades per year. 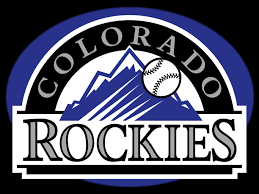 The Colorado Rockies are one of the newer teams in MLB; the franchise began in 1991, but did not begin to play until the 1993 MLB season. Since then, the team has brought home a multitude of awards, including (but not limited to) the following: three Rookie of the Year awards in 1998, 2002, and 2007; over a dozen Silver Slugger awards; the Hank Aaron Award in 2000; multiple Golden Glove awards; and two Manager of the Year awards (Don Baylor in 1995 and Jim Tracy in 2009). The Colorado Rockies made it to the major league postseason in 1995, 2007, and 2009. They reached the World Series in 2007, where they were beat out by the Boston Red Sox. The Rockies’ home is Coors Field, which opened in 1995. Coors Field is located in the heart of Denver, and surrounded by numerous restaurants and bars. The Colorado Rockies share a Spring Training stadium with the Arizona Diamondbacks. Both teams have been sharing Salt River Fields at Talking Stick in Scottsdale, Arizona since 2011. The Colorado Rockies kicked off the 2016 MLB season with a placement of fourth in the National League at the close of Spring Training. The regular season officially began on April 3, 2016. Up to date schedules of games and other events for the regular season and post season events are available from buyTickets, along with the best ticket prices for great seats at Colorado Rockies games—both at home and away.